After meeting and marrying Perdita, Pongo, a Dalmatian, becomes the father of 15 puppies. The night that the puppies are born, the family is visited by Cruella de Vil, a schoolmate of Perdita’s owner, Anita. Cruella wants to buy all of the puppies, but they refuse to sell them. A few weeks later, the puppies are stolen by two of Cruella’s employees. Pongo and Perdita quickly set a seek around London for the puppies, and come to rescue them. 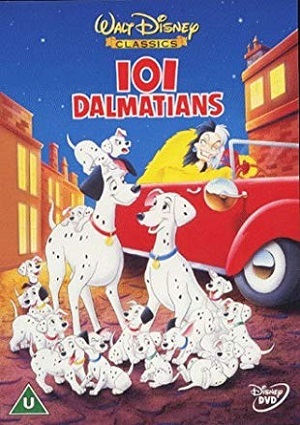 But they need to rush, as Cruella de Vil intentions are to create a coat with the fur of 99 puppies of Dalmatian, including the 15 puppies of Perdita and Pongo.